Companies experience cost creep all the time when they don’t have someone dedicated to monitoring both fixed and variable expenses. This type of service goes beyond bookkeeping. In fact, you probably already have a bookkeeper entering data for you. But they are likely so busy that they fail to notice when your cost per unit goes up by $1, and before you know it you’ve magically run out of cash. If you haven’t already made the switch to CFO services to drive more profitable outcomes for your small business, then keep reading to learn our top seven strategies for more effective cost management. Before you get started, have your accountant or CFO services firm print off a list of all the transactions for the prior month and group them by vendor for ease of reference. Then write "fixed" or "variable" next to each vendor. As a refresher, a variable cost is one that is directly tied to revenue such as raw materials and direct labor. On the other hand, if you incur a cost regardless of selling your products or services, then it's a fixed expense; examples would include rent, insurance and administrative payroll. Note: Some companies choose to categorize some costs as semi-variable costs -- which means they are a combination of fixed and variable expenses. For example, a company’s electric bill could be broken down into fixed versus variable in a case where more energy is used when production volume increases. Understanding your cost structure and more specifically, the distinction between fixed and variable expenses, is critical because it helps to make planning, negotiating and forecasting as streamlined as possible. Many entrepreneurs already have some form of a business budget but they haven’t taken the time to put into their accounting software. The benefit of this additional step is that as you incur costs throughout the month your software will grab your current costs and compare them to your budget in a budget-to-actual report. This report will drive a process known as variance analysis which will drive your expense management strategy. With the results of your budget-to-actual report in hand, you can then begin to assess which line items to tackle first to bring your costs down. Some businesses prefer to focus on the largest dollar amount variances as a priority, since those accounts have the biggest impact on performance. Others prefer to address the actual costs that have the biggest percentage variance from budgeted costs. Look for volume discounts. Some vendors will allow you to purchase goods in larger quantities or multiple units, at a discounted rate. This may be beneficial if your cash flow can handle it. Even if your supplier doesn’t explicitly offer this as an option, sometimes it can’t hurt to ask, especially if you’ve maintained a good relationship with them over time and your account has always been in good standing. Review vendor contracts regularly. Plan on reviewing your vendor contracts annually or biannually and be sure to set reminders for expiring ones. You will want to have enough time to shop around to see if other suppliers offer favorable terms before renewing any vendor contracts. Centralize purchasing: If at all possible, appoint one person in your company who is responsible for all purchasing as well as contract negotiation for business needs for everything from internet services to ordering office supplies. By centralizing this function, the team member becomes specialized in making fiscally responsible decisions, taking the time to shop around for the most variable terms instead of choosing the first vendor they come across. Downsize where possible. This may be a good time to simplify and consolidate your operations. Options include subleasing unused space in your current location, renegotiating the terms of your lease or finding a new, more affordable location. Outsource where possible. Apart from paying salaries, when you hire employees, you also have to consider benefits and employment taxes. Outsourcing allows you to get expert services at a much better price point than an in-house employee. Shop around for new vendors. Similar to handling variable costs, it is also important to regularly review all contracts associated with fixed expenses. Where possible, try to avoid signing contracts that auto-renew, but if you do, be sure to set reminders close to the expiration date(s). Change your current employee compensation structure. Instead of laying off employees to save money, you might also consider converting their pay structure to one that has a variable component, usually one that is directly tied to revenue. For example, a motivated salesperson may be willing to accept a lower base salary if you offer him or her a higher commission rate. Become more energy efficient. There are many small ways to become more energy efficient that can save you money each month. Establish energy efficient practices by turning off lights and equipment off when not in use, replacing light existing bulbs with CFL’s and installing a programmable thermostat to better regulate temperatures in the office. In general, to operate a business, you are going to incur some fixed costs. However, the more you can take advantage of opportunities to convert fixed costs into variable ones, the better equipped you will be to ride out slow sales periods. This number should be used as a yardstick or benchmark in evaluating business performance. Think of it as the bare minimum you need to achieve in order to keep the doors open. If you're unsure of how to calculate your break-even point, check out our video here. Now let’s put our expense reduction strategy into action, with a quick example. Let us also assume, as we did in this video tutorial, that the company had a product that cost them $5 to make. Given that they have $50,000 in variable costs, that would mean that they sold 10,000 units. Notice that by saving $1 on their cost per unit ($1 x 10,000 units reduces variable costs from $50,000 to $40,000) and by cutting $5,000 out of their fixed costs, their break-even point fell by nearly $17,000 a month! 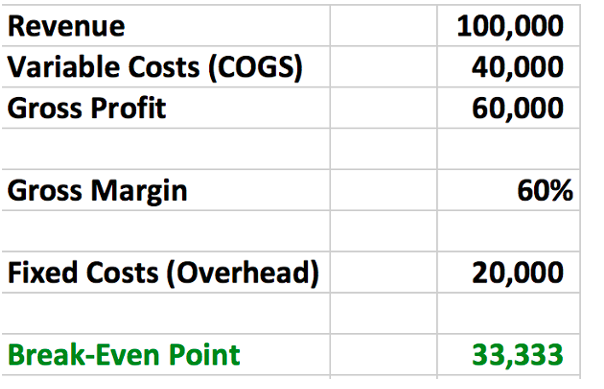 Isn't it amazing how small changes to the cost structure of your business can amplify your profits? Invest in Expense Tracking Software One common reason that cost creep takes place is poor record keeping. However, the good news is that, today, there are so many tools and software available to automate these processes and allow you to keep a much better handle on your business expenses. And, in general, they won’t break the bank. For example, Expensify is one of our favorite tools to recommend. This user-friendly platform really enables you to watch in real-time what expenses your employees are acquiring, and allows you to approve these things automatically so that everyone can continue working--no hang-ups waiting for approval. And, best of all, your books are easy to keep up when you can record everything as soon as it happens--no need to remember. Expensify offers a few packages that you can choose from. 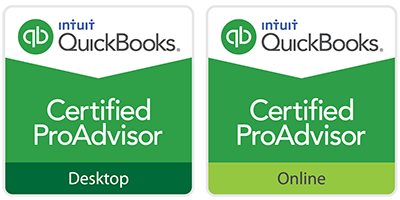 Starting at a base monthly fee of $5 will get you unlimited smart scans, basic expense approval, online reimbursement capabilities and sync up with QuickBooks and Xero. The next step up will cost you $9 per month, and after that, you can negotiate a custom package. It’s time to make cost management a consistent practice and not something that is only done when your business is strapped for cash. We recommend designating a particular day to review your transaction report each week. As the business owner you should be able to quickly identify any discrepancies and make sure that you are only paying for services that you need and agreed to. Overall, your goal should be to cultivate a culture of fiscal responsibility at every level of your company. In this way, you can move from reactive decision-making to proactive strategy. Doing this will also give you better control over your business and help you develop a profitable mindset for business growth. When it comes to your company’s financial future, as a small business owner you want to get it right the first time. That said, you might need some outside help with creating a strategy that will not only help you with expenses management, but also monitor cash flow, manage labor costs and reduce debt. Partnering with an accounting firm for virtual CFO or online bookkeeping services is one way to ensure your business model is positioning you for the most success in your market. Virtual CFO services allow you to leverage the expertise of a highly trained professional at a fraction of the cost of hiring an executive in-house. Furthermore, you can benefit from flexible options so you only pay for the help you need, exactly when you need it. If you’re a small business owner you know that time is your most precious resource, and there never seems to be enough of it. With flexible, virtual CFO services, you can spend less time trying to put together a financial plan that works for your business and more time actually executing it. Hiring a CFO adds a layer of protection between the CEO and the rest of the executive management that stands as an objective check and balance to reduce that risk. CFOs also mitigate risk by helping small business owners make sound financing and purchasing decisions. Ignite Spot has worked with hundreds of clients to transform their businesses. But don’t just take our word for it. 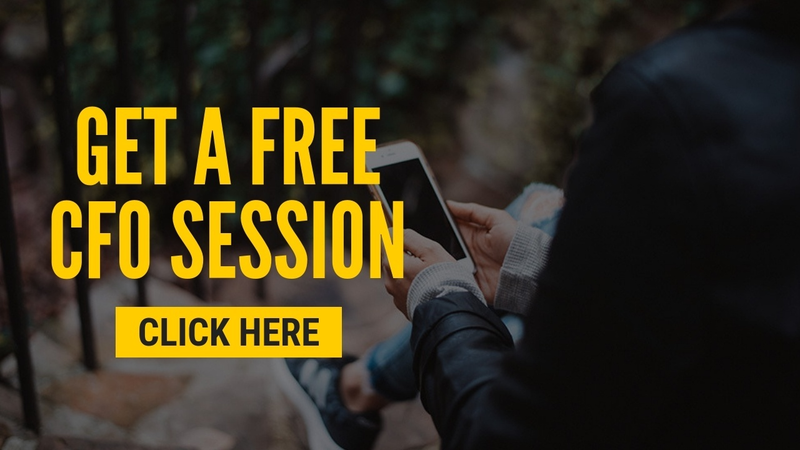 Sign up for a free session with our team and see the difference for yourself. Let us work with you to customize the tools to help make your business profitable, a whole lot sooner.